The innovative Manfrotto 555B leveling system for the 3021 Pro (055 Pro) tripod allows you to quickly level your photo or video head, independently from the tripod. A built-in 50mm half ball with 15° of levelling is mounted on top of the tripod center column so as to make the angle of the plate independent of the rest of the tripod. Locking and unlocking of the half ball is via a turning grip on the bottom of the center column. Box Dimensions (LxWxH) 17.5 x 3.2 x 3.2"
555B Leveling Center Column - for 055 Pro and 3021 Pro Tripods is rated 4.8 out of 5 by 20. Rated 5 out of 5 by Sassan Sanei from Essential for seamless panoramas I bought this column after losing the centre column that originally came with my Manfrotto 055SS tripod legs, and I love it. If I lost my tripod today, I would buy another one just like it just so I can use this column. The key to making straight, seamless panoramas is that the tripod legs and the tripod head BOTH need to be level. Swiveling the head on legs that are not level will result in a wavy panorama. But it is time-consuming to make the legs level by fiddling with each leg, especially since my tripod legs don't have a built-in level. This leveling centre column makes it extremely fast and easy to level the legs. Then I use a hot shoe bubble level on the camera to make sure the head is level too (since my tripod head doesn't have a built-in level). The result is perfect panoramas every time. Rated 5 out of 5 by frompus from makes a good product great The worst thing about the basic Bogen tripod itself was the time it took to make it level by adjusting the legs. This modification reduces that time to a few seconds from up to two minutes and can make the difference between getting a shot and missing it. For that alone it's well worth the money. It also makes it easier to disassemble for traveling. Rather than unscrewing the head, you can just remove the head with the column still attached and pack it separately from the legs. Rated 4 out of 5 by Anonymous from Does the job I use the leveling Center Column with my 055 tripod and a panorama head for scenery panoramas. The column saves me time in setting up the tripod (adjusting the legs) and gives me a level platform for my camera with one twist of the wrist. A lot better than fiddling with the legs. Rated 4 out of 5 by Marc from Excellent upgrade center column I bought the Manfrotto 555B centering column on the advice of the folks at Really Right Stuff. Previously I used a Manfrotto 438 leveling base on my Gitzo 1228 Mk2 tripod because Gitzo in their infinite wisdom decided to make their leveling base incompatible will all but a handful of their own tripods. I use a RRS BH40 head to complete the system. This system is used primarily with two cameras, a Mamiya 645AFD and a Panasonic G1, but I've owned the tripod and base for several years and have used it with many other camera systems. Compared to the combination of the stock center column and the 438 base the 555B has a much smoother action. It is also more streamlined, packs better and the balance of the tripod is much improved. It isn't any lighter, but the weight is more evenly distributed. Installation was a breeze on my old tripod. All you have to do is remove the old center column, press out the guide pin with a pair of channel locks and slide the 555B into the legs. You are ready to go in a matter of minutes. This is the best solution I have found to date for owners of a series 2 Mountaineer who need a leveling base for panoramic shots, or any other reason you want your head level. It gets four stars for function and design, but doesn't get the fifth one because of weight and the screaming red color(not the most inconspicuous for wildlife photography). Rated 5 out of 5 by NRT from Essential For Video As soon as I connected this 555B levelling centre column to my 055 legs, and a Benro S6 head, I knew I had a viable light and fast alternative to my heavy Miller Compass 15 system. No it won't replace the Miller, but when I want to use my GH4 rig for quick setup changes, this Manfrotto system is little short of perfect. I cannot believe Manfrotto doesn't sell this as a complete package. The 555B is absolutely essential if you want to use your 055 legs for video - the bowl has a substantial range of movement, and is smooth and easy to set. The Benro head makes it easy to set level with the bubble, whereas my Manfrotto MVH500AH head requires a big tilt forward to reveal the bubble. I'm gonna buy another 555B as a backup. Rated 5 out of 5 by Rhapsody Pictures from quick to use, light to carry I love this centring column - its quick to use and light to carry. I have a bigger tripod for filming that requires more stability when shooting on a long lens - but I use this with a light tripod and head when I need to work quickly - you can raise/lower the centre column without having to adjust the legs - and the level is quick, reliable and easy to use. Rated 5 out of 5 by Chris from Makes the 055 series much more efficient It's be nice if it were a bit cheaper but build quality is great and it makes balancing the tripod very easy. It's weight and balance is a little better on this tripod than the other balancers that just screw onto the top of the head. Highly recommended. Rated 4 out of 5 by marcotrov from Levelling heaven! Used for uneven ground landscape and macro work. Easy to use and like most all things Manfrotto, quality construction. I would have preferred to have had the centre column able to be shortened like my centre column on my 055 ProB tripod. This then allows you to lower the tripod right down to the ground for those extra low shots. Can become loose if not tightened properly but great to be able to do some fine levelling tining without the dramas of adjusting individual tripod legs. is this compatible with 055cxpro4 carbon? Yes it is compatible with your tripod. 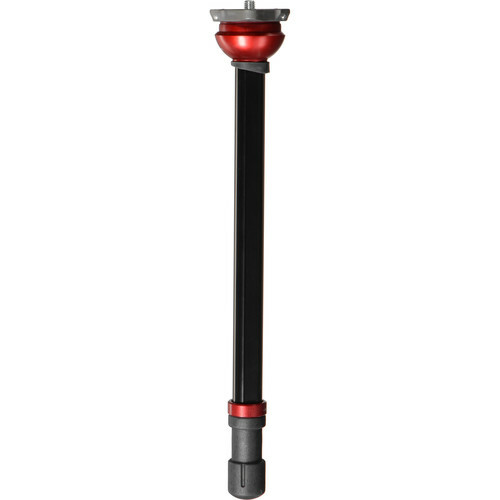 According to Manfrotto, although not really designed to go together, you can get the the Manfrotto 555B Leveling Center Column to work with the older Manfrotto 055XPROB Pro Aluminum Tripod with a little bit of effort. You can also not turn the column horizontal without completely removing the handle from the bottom of the column, completely removing the column from the tripod, and reinserting it sideways, then re-attaching the handle. It is not very quick or convenient, but if you have the time and patience, it can be used with your tripod. Will this work with the newer MT055CXpro4 tripod? Yes, the Manfrotto 555B is compatible with the MT055CXPRO4 tripod. Will this work with the MT055XPRO3 aluminium tripod as a replacement centre column? 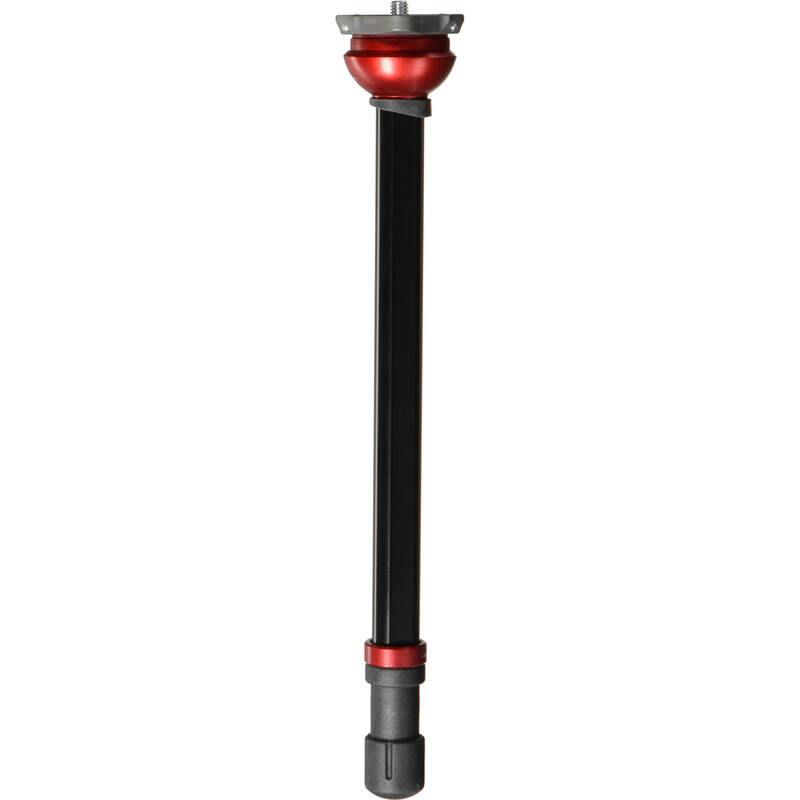 Yes, this column is compatible with the MT055XPRO3 tripod. Will this work with the 055CXpro4 legs? Yes, this column will work with the 055CXPRO 4 legs. Just purchased the tripod. Removed 502 head. How do I remove the center column from the 055 legs? Will the 555B not be usable at 90 degrees? Will this work with the 055CX3 legs? Yes, the 555B Leveling Center Column will work with the 055CX3 legs.